MORE than five tonnes of baited meat has been dropped along 53 bait lines in an effort to combat the threat of wild dogs across hundreds of thousands of hectares in the Southern Downs, Toowoomba and Goondiwindi Regional Council areas. Southern Downs Regional Council partnered with Toowoomba and Goondiwindi Regional Councils for the latest round of its aerial baiting program, in a coordinated effort to collectively combat wild dogs. It is the first time Toowoomba Regional Council has taken part in the joint exercise. More than 70 landholders took part in the aerial baiting program, which covered more than 700,000ha of mostly rough, inaccessible country. Funded by the State Government's Queensland Feral Pest Initiative, approximately 5000kg of meat was dropped along bait lines, spanning more than 470km from Stonehenge in the Toowoomba region to Maryvale near Warwick, Gore near Goondiwindi and Dalveen near the New South Wales border. The aerial baiting program required nine council officers, 15 flying hours in an AS350 Squirrel helicopter and 300kg of bait per load. 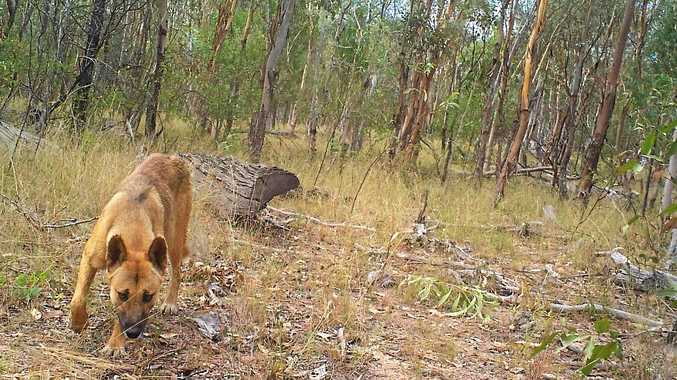 Much of the sheep and wool growing Traprock region, which spans the three local government areas and where the impacts of wild dogs are most keenly felt, was primarily targeted. Biosecurity Queensland approached TRC to participate, to include a strategic area identified in the Stonhenge locality in the Toowoomba region. The aerial baiting program was timed to coincide with the annual NSW program, which runs from the Hunter Valley through to adjacent interstate localities of Tenterfield, Liston and Koreelah. Southern Downs councillor for rural, environmental, sustainability and waste management, Cameron Gow said the collaboration between the regional councils is a power-in-numbers approach to pest management across the regions, and he extended his appreciation to GRC and TRC for a "job well done". "The coordinated aerial shoot forms just one part of council's Invasive Pest Management Scheme but focused our efforts on a much broader area," Cr Gow said. "We have successfully reduced the impacts of wild dogs to low levels in the areas central to our initial aerial programs and now we're placing greater emphasis on those areas further afield to combat wild dogs across a broader area. "It was a joint effort and we certainly achieve a greater level of success when the regional councils and landholders work together."